Originally from South Africa, I have lived in Canada since 2000. I have a Bachelor of Arts in English Literature and Philosophy and I have also lived and worked in the U.S.A., Australia and Britain. I now live and write in Toronto. Rotten Peaches, Inanna Publications, 2018. No Fury Like That, Inanna Publications, 2017. The Nearly Girl, Inanna Publications, 2016. Between The Cracks She Fell, Inanna Publications, 2015. The Witchdoctor’s Bones, Inanna Publications, 2014. A Glittering Chaos, Inanna Publications, 2013. West of Wawa, Inanna Publications, 2012. The Hungry Mirror, Inanna Publications, 2010. Una furia dell'altro mondo, Italy, 2019. West of Wawa, winner IPPY Silver Medal, Popular Fiction, 2012. The Hungry Mirror, longlisted for a ReLit award, 2011. Mesdames of Mayhem Anthology, Toronto, 2016. Short story, Thirteen O Clock, Mesdames of Mayhem, 2016. Short story, PAC ‘N HEAT, 2016. Woman Studies Journal, Poetry, She Comforts Me, 2015, poem. Edited by Sheryl Gordon, 2015. Flash Fiction Online, The Love Triangle, Maudlinhouse.net, 2014. Inanna, Winter 2012/Spring 2013, poem. Short Story Online, Henry and Hannah, Maudlinhouse.net, 2014. Stories From Our Black Book, Anthology, 2005. Simply The Best, British Anthology, Short Story, 1990. Crime Writers of Canada – joined 2012. Mesdames of Mayhem – joined 2013.
International Thriller Writers Inc. – joined 2014. Sisters in Crime – joined 2012. Host and moderator for IFOA Bookclub, August 2017. Served as a judge for the Hamilton Literary Awards 2014 and 2016, Fiction. Key Note Panel Speaker at Bouchercon International World Mystery Convention, Long Beach, CA, 2014. Key Note Panel Speaker at Bloody Words Murder Mystery Conference, Toronto, 2014. Attic Owl Reading Series, Moncton, 2015/2016. Ben McNally Books, Toronto, 2015. Gatsby Books, Long Beach, CA, 2014. Niagara Literary Festival, 2012, 2013, 2014. Night Out With Authors, Tranzac Club, 2014. Raw Sugar Café, Ottawa, 2014. Indigo, Bloor Street, with the Crime Writers of Canada, 2014. Plasticine Reading Series, 2012, 2013. Makin’ a Racket at the Red Rocket, 2013, 2014. The Toronto Public Library (Annette Street Branch), 2012, 2013, 2015. OLA, Ontario Library Association, (Crime Writers of Canada), 2013, 2014, 2015, 2016, 2017. Reading at Toronto Women’s Bookstore 2011. Rotten Peaches reviewed by Foreword magazine and Flare magazine. No Fury Like That was reviewed by Open Book Toronto, Hello! Canada magazine and Beach Metro News. The Nearly Girl reviewed by the Quill & Quire, Canadian Living magazine and Beach Metro News. Between The Cracks She Fell reviewed by the Quill & Quire, Open Book Toronto, 49th Shelf and Canadian Living magazine. The Witchdoctor’s Bones reviewed by Canadian Living magazine. A Glittering Chaos reviewed by Broken Pencil. West of Wawa reviewed by Chatelaine magazine, The Walleye, The Temiskaming Shores Public Library Blog, Canadian Living Online. Bachelor of Arts, English and Philosophy, University of The Witwatersrand, Johannesburg. 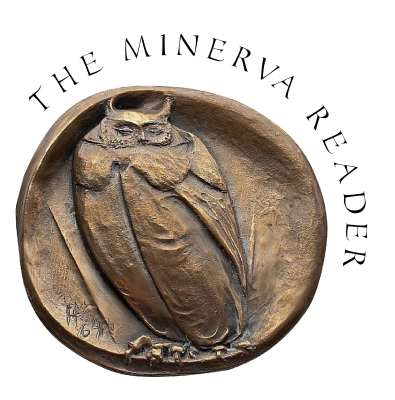 Please note: due to my commitment to various projects, The Minerva Reader will be published at unspecified times. Thank you for your patience with this! The owl is a symbol of Minerva and this beautiful medallic sculpture was created by my Great Aunt, Dora de Pédery-Hunt. 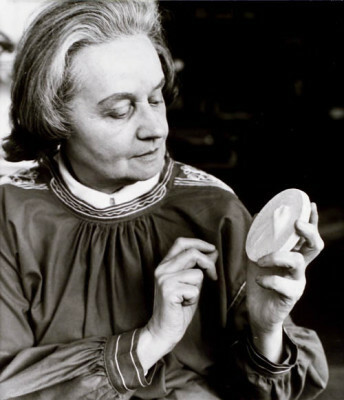 Dora de Pedery-Hunt is one of Canada's most recognised sculptors. Her engraving of Queen Elizabeth II has graced Canadian currency for more than a generation. You likely have one of her engravings in your pocket right now! Dora received the Order of Canada for her artistic contributions. ​to me. She was fierce, passionate and utterly dedicated. She told me that my writing would succeed one day, and that I should keep at it. Thank you, Dora.